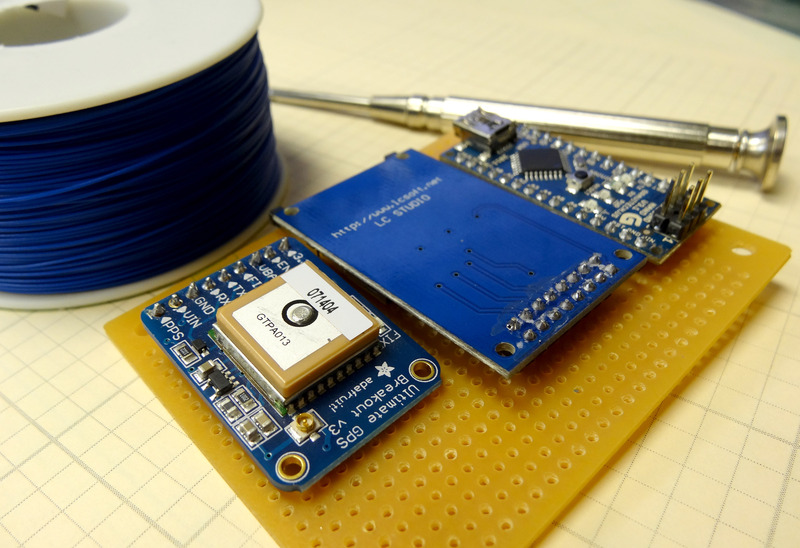 In the earlier lessons in this series we learned how to hook the Adafruit Ultimate GPS up to the Beaglebone Black. In these lessons we got the hardware working, got to the point we could take data, and then got the NMEA sentences parsed, so that we could display understandable data for Latitude, Longitude, and Altitude. 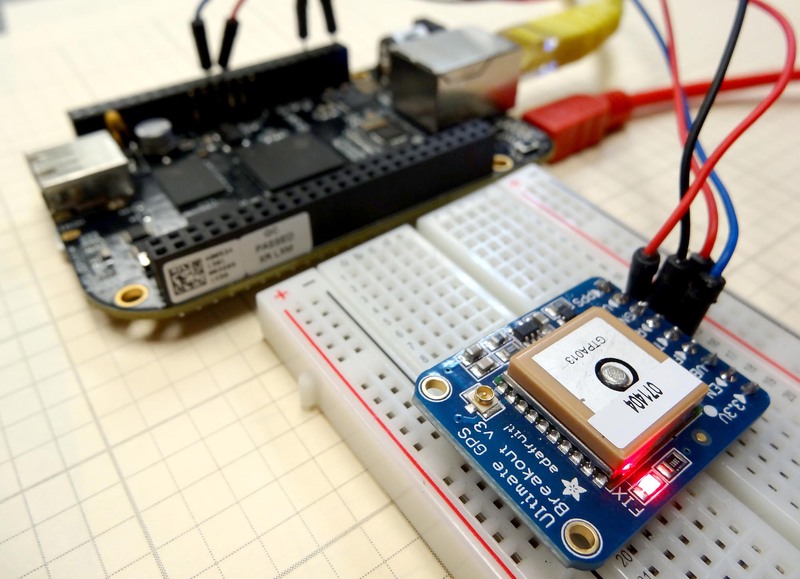 In this lesson we will show you how to create a GPS tracker, by logging your GPS data to a file on the Beaglebone Black. 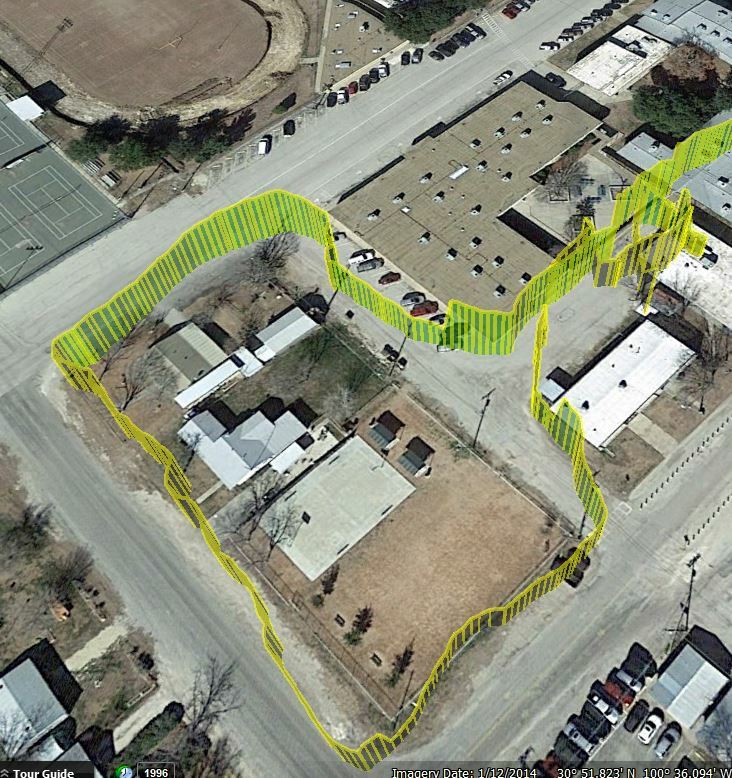 Then when you get back home, you can load the data into google earth to see an interactive view of where you have been. This program should create a file on the Beaglebone Black, and track your longitude, latitude and altitude. In this lesson we bring together a lot of the material from the first 26 lessons to create an instrument package that could be deployed in a demonstration project. 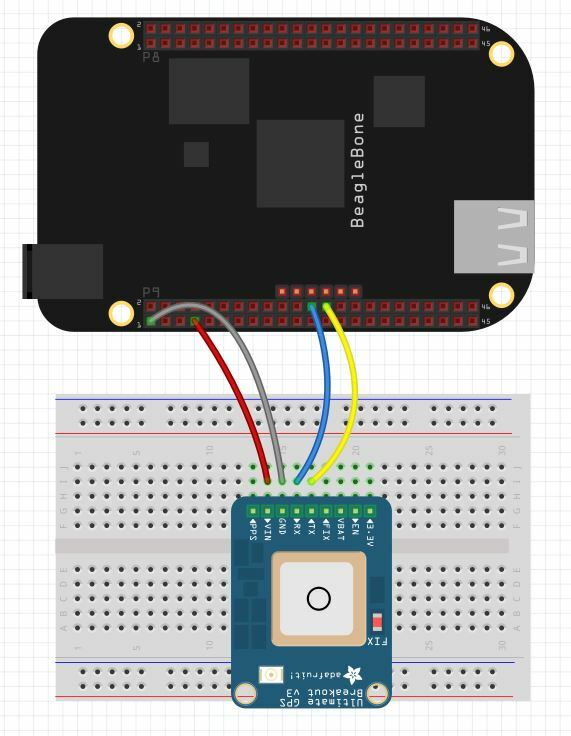 We will wire wrap up an Arduino Nano, a Virtuabotix SD card reader, and the Adafruit Ultimate GPS to create a system that will track and log position and altitude, and save the data in a format that can be displayed on Google Earth. Now the code you developed in LESSON 26 should run on this prototype. The code creates a Google Earth friendly set of coordinates. Just put a KML wrapper on the coordinates as described in LESSON 26. 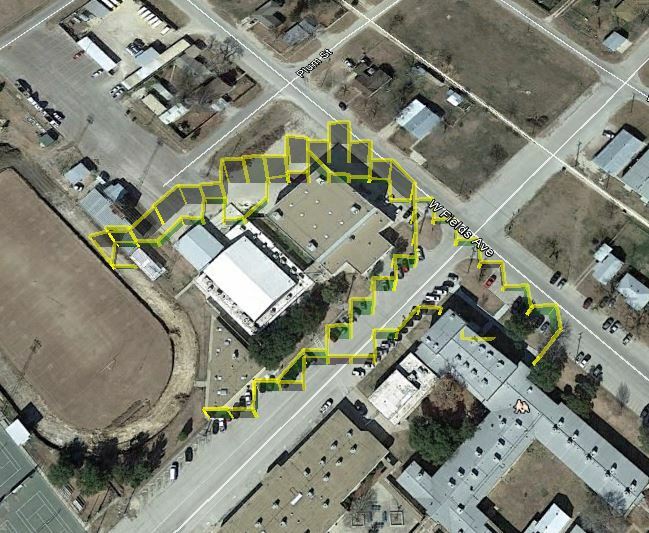 Putting it all together, I took the system outside and walked around, and this is the data track I got. 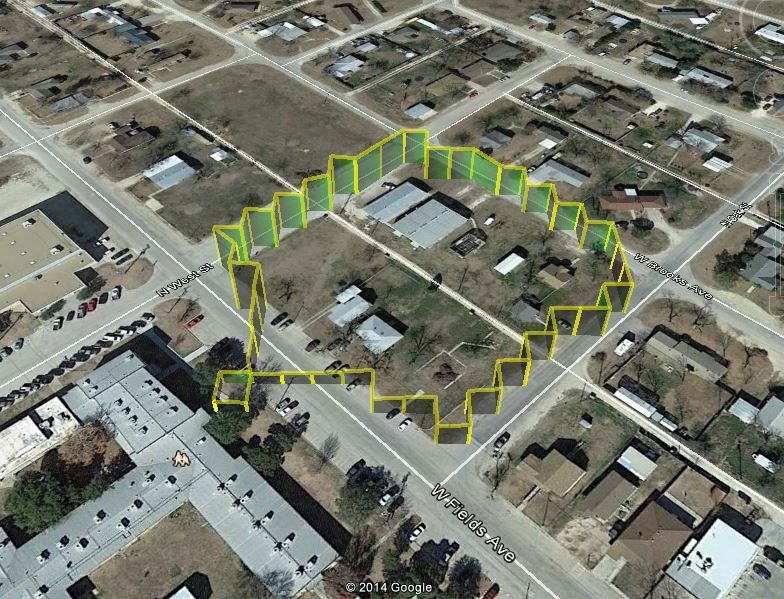 In this lesson we will learn how to take the data we are logging from our GPS, and display it properly on Google Earth. 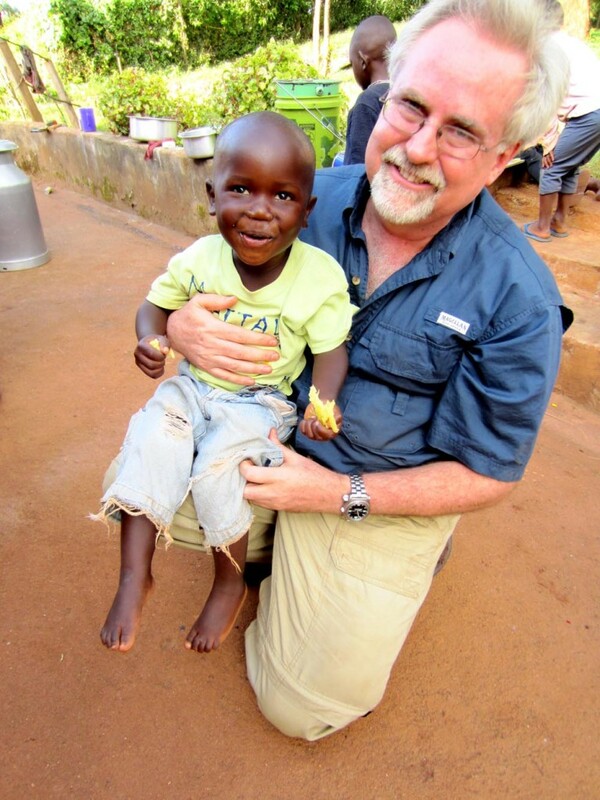 This lesson builds on Lesson 22, Lesson 23 and Lesson 24. You will need to complete those lessons before undertaking this lesson. 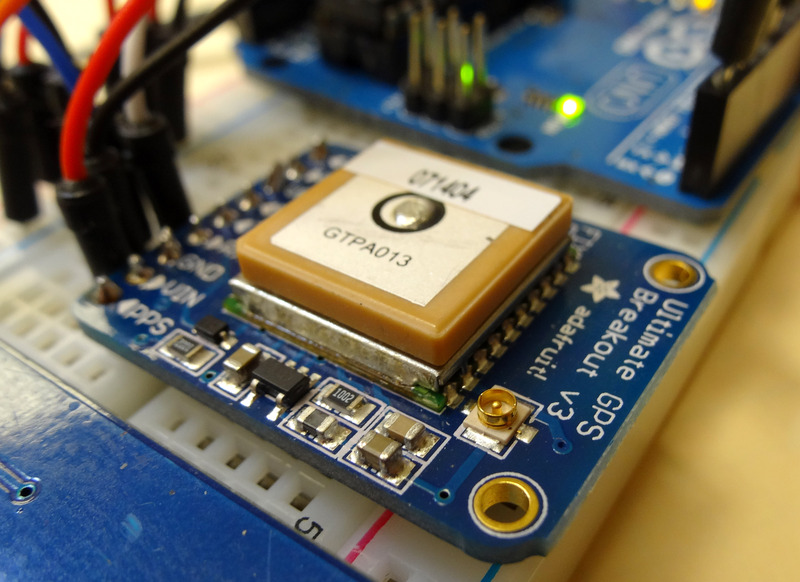 In this series of lessons we are using the Arduino, Adafruit Ultimate GPS, Virtuabotix SD card reader, and a Battery Clip to power the arduino during your mobile jaunts. You will need a 9V battery. If you are going to be doing a lot of mobile work, it is probably worth it to invest in a good 9v Rechargable battery system. When you get your gear gathered up, you will be ready to get this project going. First, hook the GPS and Card Reader up as we did in Lesson 23. We will start with the software that we used in Lesson 23. This software correctly reads data from the GPS and then logs the data into two data files on the SD card. The problem, though, we did not really do any fine tuning of the data file we were creating. I find it works to not use a line ending, but put a single white space after the Altitude. That is, delimit with commas as shown above, but then use one white space to delimit between successive lines of data. From lesson 24, we know that this represents 30 degrees and 51.8007 minutes. In order to parse this in Arduino using just numbers I do the following. First create three variables deg, degWhole, and degDec. The variable deg will hold the final answer, degWhole holds the whole part of the number, and degDec whole the part to the right of the decimal. Adding degWhole to degDec gives you deg, your final answer. So, lets assume x = 3051.8007, our Latitude from the GPS. We now have a nice decimal number, deg, which is the decimal representation of our Latitude. We have one more thing to deal with. If the GPS is reporting ‘N’, leave the number positive. If the GPS is reporting ‘S’ (that we are in the Southern Hemisphere), you need to make your latitude number negative. Similarly, when you are doing your longitude, you need to make the longitude negative if you are in the Western Hemisphere. It is curious that this is reverse from what you would do if you were entering coordinates into the Google Earth search bar. That wants Latitude first. In any event, with the parsing and formatting described above, you can create a file that is almost ready to read into Google Earth. The code below will create your coordinates in the correct format for KML, which Google Earth will read. Please watch the video for a complete description of the code. Just paste your coordinate data in the file above between <coordinates> and </coordinates>, save with a .kml extension, and you should be able to open it with Google Earth and see your track. Good luck!